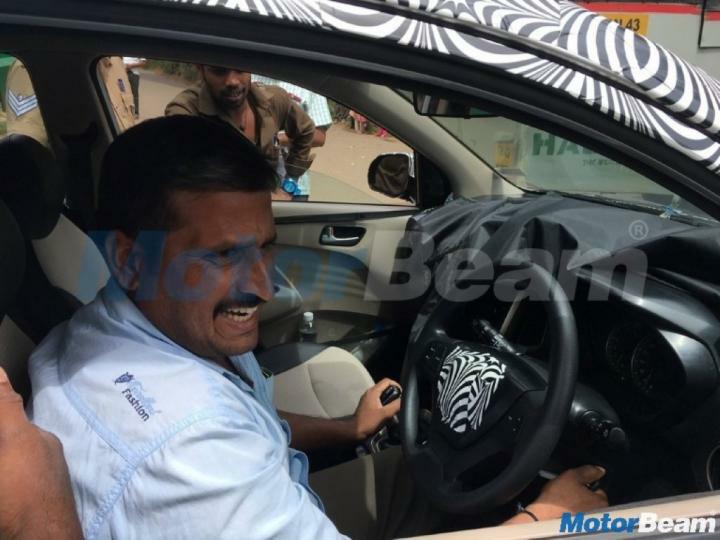 A new set of spy images showing the interior of the upcoming Hyundai Santro has surfaced. 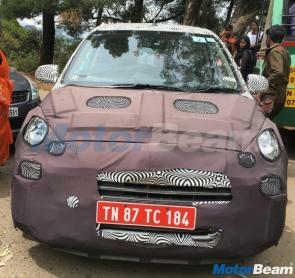 The hatchback was spotted testing near Ooty. The Santro gets a plastic dashboard finished in black and silver trim on the centre console. 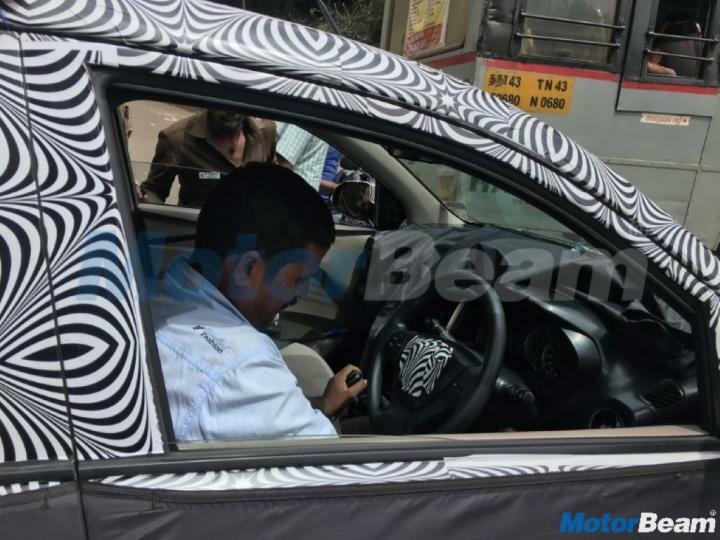 Silver trim is present around the gear lever as well. The car has a 3-spoke multi-function steering wheel and the instrument cluster consists of a speedometer in the centre and a tachometer dial on the left-hand side. The new Santro gets beige door panels and A-pillar trim, while the seats, which have fixed headrests, are wrapped in dual-tone seat covers. It also appears to have electric ORVMs. Earlier this month, Hyundai conducted a customer survey during which the car was revealed to select Hyundai customers. The car maker still has not confirmed the engine that will power the new Santro. 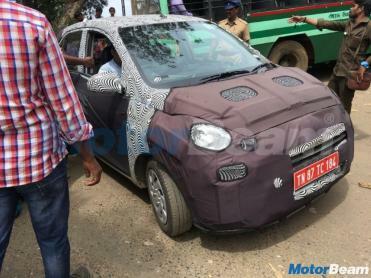 It is expected to be offered with a 1.0-litre, 3-cylinder petrol unit from the Eon.